We Booked it to the MOON! Since joining the NASA Space Apps community in 2013, it has provided unimaginable opportunities that have positively impacted our lives! In 2016, Mission Moon turned from a challenge to a movement that inspired an the entire country of Nicaragua to learn more about Space Apps, innovation, technology, science, collaboration, and... that women and children too can code! 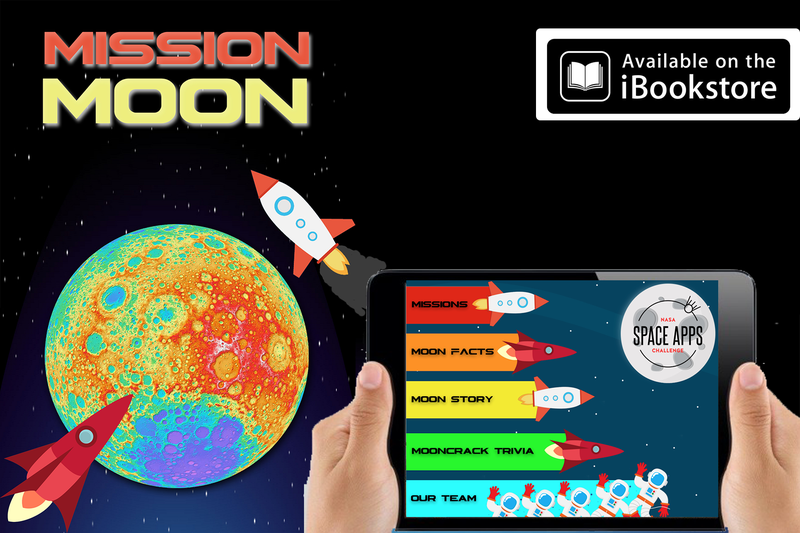 MISSION MOON is an interactive book available for download in iBooks designed for earthlings ages 8-99! It aims to provide edutainment and raise awareness about lunar missions around the world. MISSION MOON has four sections full of fascinating facts, photos, audio, and even includes a quiz, to stimulate children’s interest in learning more about the Moon. It was in 2013 that my family and I first learned about and participated in a SpaceApps Challenge event. An event that during 2013 was not only incomprehensible but an impossible feat when I heard the words “NASA” and “hackathon” combined in one sentence. 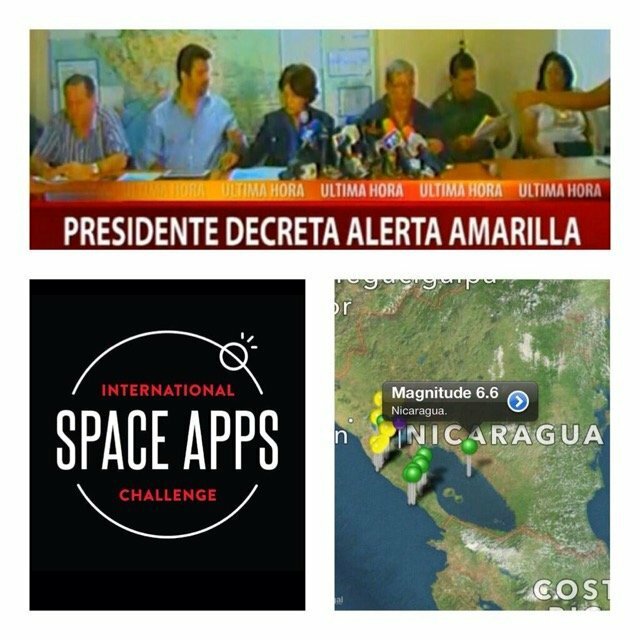 Today, after participating 3 different years in the International SpaceApps Challenge I find myself reflecting on the impact this international event has meant to me, my family, friends and now the entire country of Nicaragua. How an event like this impact can lives? In 2013, I was invited by a local university (UAM) to participate in this event because they wanted to become a “local host” and join the SpaceApps growing community. I was one of a few (Apple) iOS programmers in the country and definitely the first and only female one. I still remember the day I visited the university and stared at them in disbelief, while laughing and shaking my head “no way” can I do this. I don’t know what a hackathon is. I am not a hacker. I am not a space scientist. This is NASA you are asking me to code for: NO WAY! My only apps available for download in the App Store were a result of a part-time hobby in an effort to educate myself through websites. This provided “edutainment” for me and quenched my thirst that had me feeling the need to leave the country in search of a Master’s Degree. I love to learn. It empowers me from the very moment I step foot in an educational institution. It was after I read the necessary requirements to participate in this “hackathon” that I realized that I too could participate and provide our country the opportunity to do well by committing to code an “app” good enough for NASA. This decision was one of the best I have ever made in my life as it has provided opportunities I never dreamed nor envisioned back then. I was in shock and disbelief that WE inspired NASA. I shared the news with friends and family but no one understood what it was we had won. I was a proud of this huge accomplishment, but I was still trying to explain to people what an app and a hackathon was, as this was the very first event of this kind in our developing country. Within a month of this achievement, I found myself programming apps for prestigious companies and organizations and developed the “STEM in ACCESS” Program. The objective of this program was to provide students with the basic tools necessary for communication, education, and research utilizing technology, an integral part of STEM education while learning to speak English. 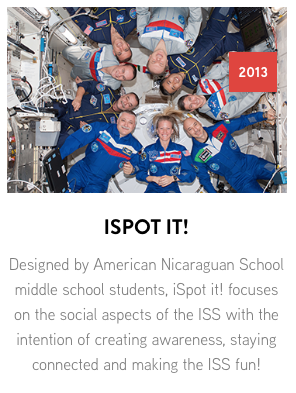 So when 2014 came around, our 2013 iSpot it! project become an actual Challenge. This was huge news for us again as we understood what a challenge meant. We agreed to collaborate worldwide with anyone interested in finding a solution to what was now the iSpot it! Challenge. Our family formed a virtual team that included some of these former STEM IN ACCESS students, family members from Connecticut that attend STEM schools, and friends interested in learning to code. We were all so excited until a 6.3 earthquake struck our country. All schools and institutions were closed due to a government imposed Red Alert that would last 2 weeks and the local event was cancelled. However, we still followed through with our virtual participation. This teamwork and collaboration during this time we were home bound even provided us with edutainment. We did not participate in 2015 but we did show up for the presentations to see what everyone had built, and the kids loved it. It once again provided them the opportunity to learn what others innovated during the event and strengthened their interest in science and tech. As my eldest Andrew, a junior now in high school at ANS, begun his online explorations of universities he not only found interest in, but applied and was accepted to an Aerospace Overnight Summer program at Embry-Riddle Aeronautical University that he will be attending this summer. His essay was written about the significance of his experiences in participating in the NASA Space Apps Challenge. Also, on May 27, he will be a speaker at the first Managua TedX “Youth edition” and his topic is Space Technology and once again he is speaking about his experiences in Space Apps. This year, the ANS school introduced a coding club and my 9 year old son came home with his first Google CS certificate showing it to me and excitedly saying, “Now I can help you in the Space Apps Hackathon, mom!” And to this I replied, “If you would like to participate this year, I will help YOU. Go asked Andrew if you and he can be a team so you both participate together when the event takes place this year” (it was only February). And so the movement had begun, yet we were quite unaware of it at this point. The day the challenges were published we reviewed them as a family and found the perfect fit. It was called “Book it to the Moon”. The objective was to find an interactive way to inspire kids to learn about the moon. We had the developer and the kids, but since this challenge called for a creative author we asked Andrew’s 9th English teacher, Lisa Lippay, if she and her family would like to join us and form a team. She and her son did not hesitate. Our journey had begun and we had the kids draw the storyboards of their ideas and names for the project on paper. Then, onto our local event which produced 14 solutions and of those we won the People’s Choice Award. Another fun time! Another SpaceApps chapter in our lives! A few weeks later, we received a big surprise! We had been selected as Space Apps 2016 Top 25 People's Choice Award! Our team was excited but found themselves in quite a predicament since we would need THOUSANDS of votes in order to compete at this level and we are only two moms and three kids. So what do we do now? We wrote to the organizers and to our kids’ schools asking their students and the community for their support. We found support at the youngest levels, the ANS third grade Coding Club. 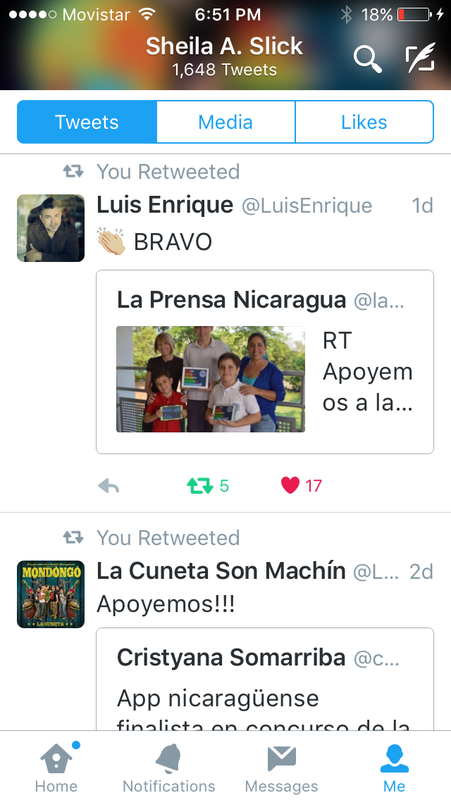 Through social media, we were also able to ask the US Embassy in Managua, the schools, and the media to share this news with the hopes of receiving enough votes to win. We never imagined what came next! We went viral. However, we faced many challenges in this developing country. Some days we lost internet or electricity for hours at a time. Plus, we had a language barrier as most Nicaraguans do not speak English and had a difficult time understanding the registration process when visiting the website. So we innovated and even provided chat and phone support urging people to revise their spam and verify their email address. Even my 85 year old grandmother had the opportunity to vote for our project, even though others just gave up, claiming it too tedious of a process. We explained it was a NASA competition and this process was to have a legitimate election and to please be patient and vote. Our most prestigious newspapers, La Prensa, EL Nuevo Dario, Metro and TV channels, VOS TV, Canal 15TV amongst others, began not only sharing on social media, but printing stories and interviews about the Space Apps Challenge. Two women and 3 kids using words like NASA, technology, innovation, collaboration and science all in one sentence? Not your everyday story. We found ourselves not only promoting our project for votes but creating awareness about the event and the importance of learning more about the moon, science, technology, innovation, and collaboration. If we can do it, so can you! All of this support has been overwhelming and we are very grateful for the opportunity to have participated in such an educational and prestigious event that promotes STEM, innovation, science and technology, among many other things. We hope this has at the very least, left a seed to be planted, that if we can do this, so can you. These opportunities are usually once in a lifetime opportunities and we never know where they will lead us. After all, Space Challenge was the turning point that led me to create an IT company in 2013, and provided the opportunity to be a TV tech show co-host. It has also provided an opportunity for my children to learn about space, science and technology, but also innovation, collaboration, and perhaps my eldest son will decide to explore a career in Aerospace. My youngest definitely wants to innovate products like Avis and Hypnos after seeing their projects on that Top 25 Semi-Finalist list. So we don’t know what will happen tomorrow, but today I am grateful for the opportunity and experience the NASA Space Apps Challenge has provided. Every time I see the ISS or the moon I will forever be grateful for having had these experiences and being a part of the Space Apps community that represents the core of NASA's Open Innovation Initiative! Dynamic entrepeneur who uses creativity, leadership, and teamwork with over 20 years of experience. She is founder of Slick Developers, an ITO specializing in mobile applications, iBooks/eBooks and takes unique and innovative approaches to educate, motivate, and promote interest in STEM (Science, Technology, Engineering, Math) through public speaking, organizing and participating in hackathons (Start Up Weekend & SpaceAppsChallenge) and implementing innovative community programs like STEM in ACCESS. 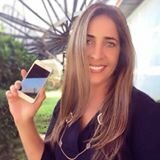 In addition she is now co-host to a weekly TV segment called teknicas that airs in Evas Urbanas Channel 14 VosTV Nicaragua with the objective of educating and promoting tips and trends in tech. Sheila graduated in Business Administration (Marketing) from Florida State University. She learned to program at the age of 36 years through online courses and founded her ITO after winning an Honorable Mention in the 2013 NASA Space Apps Challenge. We used text, images, maps, sound (recording of Apollo's mission) and links from various NASA sites and it contributed to our innovation in order to proves the content of the book based on facts. The children and mothers all contributed by researching these sites and selecting the material they found would provide edutainment to our iBook.